What is a Missouri Durable Power of Attorney? Home » Wills and Estates » What is a Missouri Durable Power of Attorney? A Missouri power of attorney is a document by which an individual can appoint a person to act as their agent. An agent is one who has authorization to act for another person. 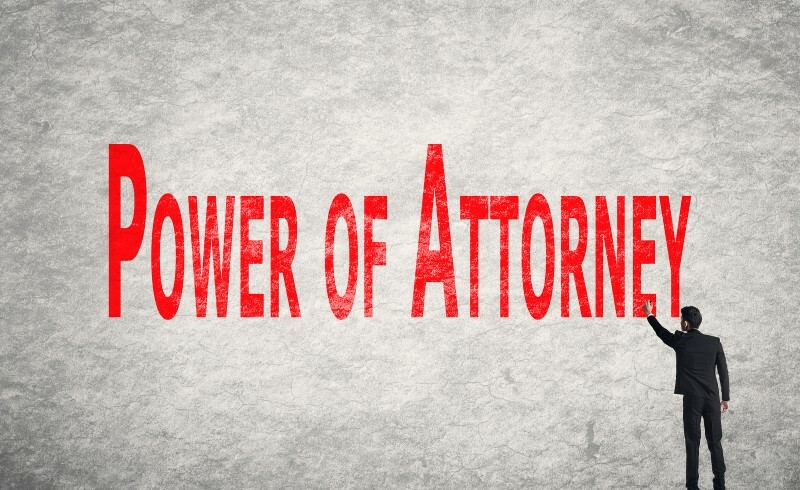 A power of attorney can authorize the attorney-in-fact to perform a single or multiple actions and is created in accordance with Section 404.710.1 of the Missouri Revised Statute. One type of a power of attorney concerns health-related decisions. Who May Be Appointed Under a Missouri Power of Attorney? • Licensed Facility: No one connected with a facility licensed by the Missouri Department of Mental Health or Missouri Department of Social Services in which the principal resides unless such person is closely related to the principal. • Judiciary Personnel: No full-time judge and no clerk of court, unless closely related. • Qualifications: No one under 18, no person judicially determined to be incapacitated or disabled, and no habitual drunkard. • Medical personnel: For a health care provider, no one who is the attending physician of the principal and no one who is connected with the health care facility in which the principal is a patient unless such a person is closely related to the principal. What is a Missouri “Durable” Power of Attorney? If a principal in an ordinary power of attorney becomes incapacitated, the agent’s power to act for the principal automatically stops. Under Missouri law, a power of attorney with proper wording may be made “durable.” This means that the power of the agent to act on the principal’s behalf would continue even in the event that the principal becomes incapacitated. With a durable power of attorney, even after an incapacitating illness or accident, the named agent could continue to pay bills or otherwise act on behalf of the principal. The death of the principal revokes even a durable power of attorney, except for a third-person relying on the power of attorney who does not know of the death. It is recommended that the revocation be written whenever possible. (11) To designate one or more substitute or successor or additional attorneys-in-fact. A durable power of attorney needs to be very carefully worded and you should seek the assistance of a Missouri probate lawyer. It is also important to review your choice for an agent with a probate attorney to make sure that the selected person is trustworthy and otherwise allowed under the terms of Missouri law. Call Kenneth P. Carp today at (636) 947-3600 to schedule a free consultation to discuss your case. Are there Credit Counseling Requirements in a Missouri Bankruptcy?